Kelli was born and raised in Wylie, Texas. 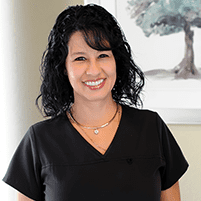 She has worked in the dental field for over 13 years and truly takes pride in what she does. Kelli began working for Dr. Spillman in January 2013 and feels very blessed to have found a boss and team with such enthusiasm to work. When she's away from work, Kelli stays entertained by her two busy teenage daughters. Leslie was born and raised in Dallas. She began working as a dental assistant over 8 years ago, joining Dr. Spillman's staff right out of school. Leslie loves what she does and truly cares about each and every patient. Leslie works in both the Midlothian and Dallas offices. Betty was born in Colorado and raised in Corpus Christi, Texas. She moved to the Dallas area in 1992 to be closer to family. Betty has been a dental assistant since 2005. 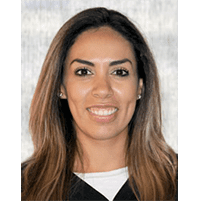 She has worked with Dr. Spillman for over four years, first working for him at another office and then rejoining him after he started Dental Center of Lakewood. Betty feels very lucky to have found a boss that is so kind and caring not only to his patients but, to his employees as well. She enjoys helping patients overcome their fear of dentistry by making them laugh. Away from the office, Betty loves spending time with her daughters and grandchildren. 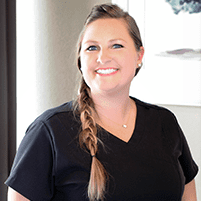 Carrie graduated from Baylor College of Dentistry with a Bachelor of Science in dental hygiene in 2001. She remains active with the school as a member of the Sigma Phi Alpha organization, mentoring new students and raising money for scholarships. 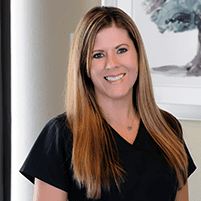 Carrie began working with Dr. Spillman in 2008, and loves working with him and his team. She spends her time away from work with her two active little boys. They continue to be the light of her life and remind her of the "little things" that are so important in life. Crystal was born and raised in the Dallas area. She graduated from Baylor College of Dentistry in 2007 with a Bachelor of Science in dental hygiene. She started working with Dr. Spillman in May of 2012 and feels fortunate to have found such a dedicated boss and team. 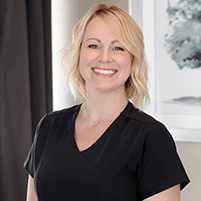 Crystal especially takes joy in making her patients feel comfortable with her warm smile and "giggles." When she's not cleaning teeth, Crystal enjoys traveling, spending time with family and friends, and being outdoors. Rosie was born and raised in Dallas, TX. She graduated from Baylor College of Dentistry in 2007 with a Bachelor of Science in dental hygiene. 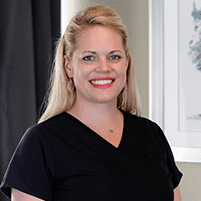 She began working with Dr. Spillman in February 2015. Rosie is very blessed to have found an office with a great staff who enjoys helping their patients with their oral health. Rosie loves trying new restaurants, working out and traveling with friends. Away from work, Leslie devotes her time to her daughter and family.